Photo by CAMRAS , the result of a research design developed by Nobel prize winning astrophysicist Joe Taylor. Chinese satellite captures stunning backside image of the Moon with Earth, reports The Verge. 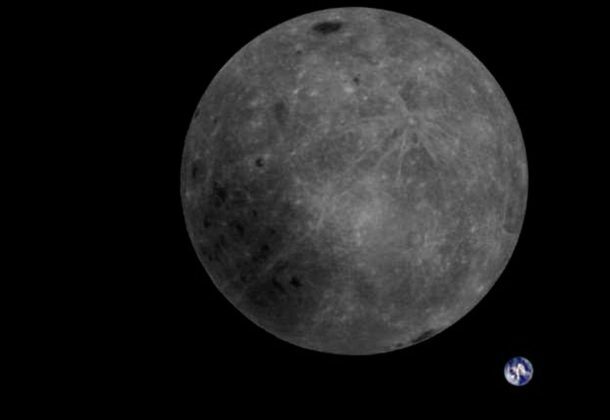 A Chinese satellite currently in lunar orbit snapped this incredible image of the far side of the Moon, with a tiny Earth hanging out in the background. Captured Feb. 3, the picture offers a rare perspective of the Earth and Moon system together. A Chinese student has been sentenced to a year in federal prison after pleading guilty to illegally taking photos of a US military installation in the Florida Keys, reports Navy Times. A federal judge imposed the sentence Tuesday on 20-year-old Zhao Qianli, seen in this photograph in the Miami Herald. Plans to replace Afghanistan’s aging fleet of Russian helicopters with American-made UH-60 Black Hawks may be unsustainable because of a lack of qualified pilots and engineers, reports Stars and Stripes. Navy’s Sea Hunter drone ship sails autonomously to Hawaii and back to San Diego, reports The Drive, without the need of a crew for navigation and steering. The service has primarily been developing the drones as anti-submarine warfare platforms, but could also provide electronic warfare support and acting as decoys to help shield friendly forces. President Donald Trump to tap David Malpass, critic of World Bank, to lead it, reports Seattle Pi. Earth’s north magnetic pole has officially shifted, reports the NYPost. First discovered in 1831, the magnetic pole has been slowly shifting from Canada to Russia ever since. DoD’s latest climate-change report didn’t even meet legal requirements, according to Mother Jones. In a Jan. 25 letter from the House Armed Services, the military is ordered redo the document by April 1. US Navy admits failure on $760 million weapon to protect its aircraft carriers from torpedoes, reports Business Insider. Trump to meet North Korean leader Feb. 27-28 in Vietnam, reports ABC News. Trump seeks to continue his efforts to persuade Kim to give up his nuclear weapons. Pope Francis acknowledges sexual abuse of nuns by priests and bishops, reports NPR. US guided-missile cruiser and Navy supply ship involved in minor collision off Florida, reports USNI. USS Leyte Gulf (CG-55) and USNS Robert E. Peary (T-AKE-5) collided during a training exercise as part of a pre-deployment workup. There were no casualties and only minor damage above the waterline to both ships. Neither ship took on water. SPY-6 radar finishes final round of developmental testing in Hawaii, reports USNI. “The radar performed exactly as predicted. This completes our rigorous developmental test program to support the on-time delivery of the Navy’s newest Flight III destroyer,” said Capt. Seiko Okano, major program manager for Above Water Sensors in the Program Executive Office for Integrated Warfare Systems. MDM Construction, Rockford, Illinois (W911SA-19-D-2005); Greenstone Construction, Fargo, North Dakota (W911SA-19-D-2006); Richard Group, Glenview, Illinois (W911SA-19-D-2007); Allcon Construction, Butler, Wisconsin (W911SA-19-D-2008); Progressive Construction Services, Janesville, Wisconsin (W911SA-19-D-2009); JMJ Construction, Baraboo, Wisconsin (W911SA-19-D-2010); Relyant Global, Maryville, Tennessee (W911SA-19-D-2011); RHI Construction Services, West Haven, Utah (W911SA-19-D-2012); Platt Construction, Franklin, Wisconsin (W911SA-19-D-2013); and Signature Renovations, Capitol Heights, Maryland (W911SA-19-D-2014), will compete for each order of the $45,000,000 firm-fixed-price contract for Fort McCoy, Wisconsin, Department of Public Works construction. Bids were solicited via the internet with 11 received. Work locations and funding will be determined with each order, with an estimated completion date of Feb. 14, 2024. US Army Mission and Installation Contracting Command, Fort McCoy, Wisconsin, is the contracting activity. Valiant Government Services LLC, Hopkinsville, Kentucky, was awarded a $16,255,102 modification (P00009) to contract W91278-18-C-0011 for operations and maintenance services. Work will be performed in Natick, Massachusetts; Daleville, Alabama; Silver Spring, Maryland; Aberdeen, Maryland; Frederick, Maryland; and Dover, Delaware, with an estimated completion date of Feb. 6, 2020. 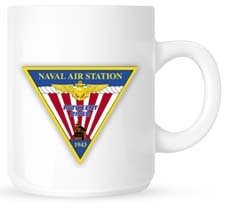 Fiscal 2019 operations and maintenance Army; and research, development, test and evaluation funds in the amount of $16,255,102 were obligated at the time of the award. US Army Corps of Engineers, Mobile, Alabama, is the contracting activity.